Super busy yesterday and today and I wanted to post a technique that I learned from Friday's lesson, and this is the first chance I have gotten to create. Inking Tricks was the lesson for Friday. Jennifer Rzasa demonstrated a technique called Ink Patterns. This technique caught my eye and this is the card that I made. The idea is to create a pattern with tape that can be lifted off your paper easily (usually washi tape), then ink over the pattern. I used three different distress inks over the tape. Lift the tape and 'boom' you have created a pattern on your paper. I added a vellum banner and some sequins and called it done. This was super simple and I love the look of it. Yana Smakula demonstrated faux embossing. I decided to try this technique. 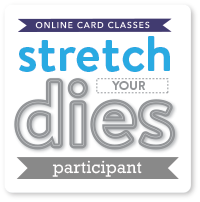 The idea is to use die cuts as a background on your card. 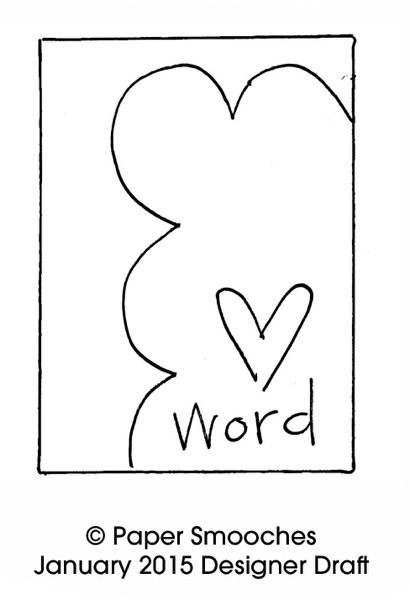 This can be words or shapes. I used a cloud die. I die cut a bunch of them from the same color cardstock as the base. I attached cardstock to a double sided adhesive sheet, and then die cut the clouds. I am glad I had the adhesive sheets, I didn't even know I had them, it makes it a lot easier to assemble. I added a sentiment and enamel hearts. 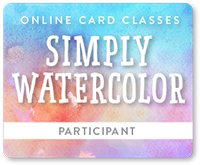 Second post from today's lesson at Online Card Class-Dyed Backgrounds. This technique, called Velveteen Stamping, was not hard to duplicate at all. 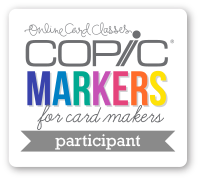 With this technique you ink up a background stamp with white dye ink, let it dry thoroughly, or dry with heat gun. Once dry, stamp with images that are as solid as possible, so you can see the background through the stamp. You can actually see the background on my card by itself and through the stamps. I also stamped the card base with a background stamp in the same color ink to match the card base. I added a sentiment and some twine to complete the card. Today's class lesson concentrated on dyed backgrounds. Really great techniques today. I am going to post one technique on this post that I tried and then do another post on a different technique. Jennifer McGuire demonstrated a technique that was amazing to me, it was like magic! This is the card I made using this technique. Supplies Used-Hero Arts Charcoal Ink, Tim Holtz Fired Brick Distress Ink, Papertrey Ink Congrats die cut, Claudine Hellmuth-birds and SSS-Falling Snow stencils. Second day of classes and I am really enjoying it! 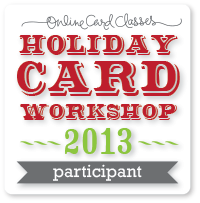 The lesson emphasis was on die-cutting. I have been die-cutting for awhile, but I learned some really interesting techniques today. 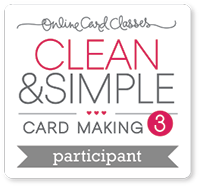 Kristina Werner and Shari Carroll's projects were fantastic and I want to try them soon, but Debby Hughes' card was a stunner. I tried to duplicate her card, she demonstrated faux paper cutting, I thought it was amazing. 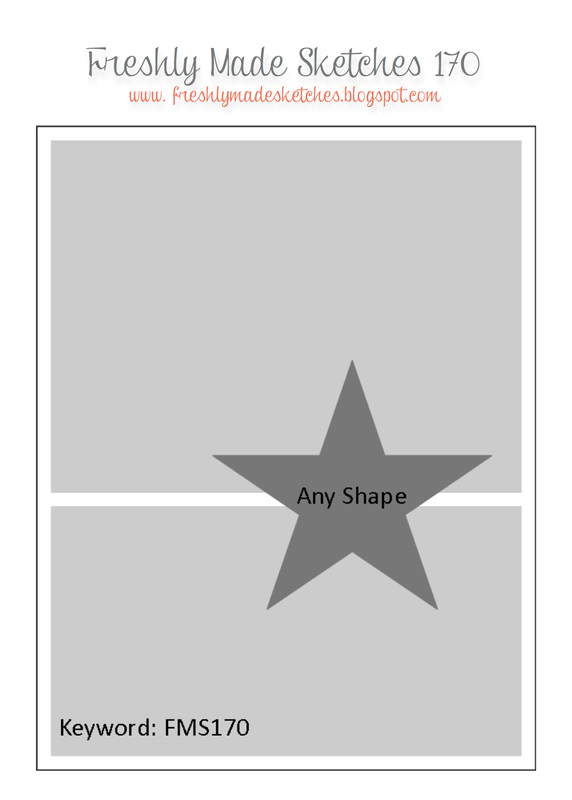 The idea is to form a shape by filling in the space with paper cuts. 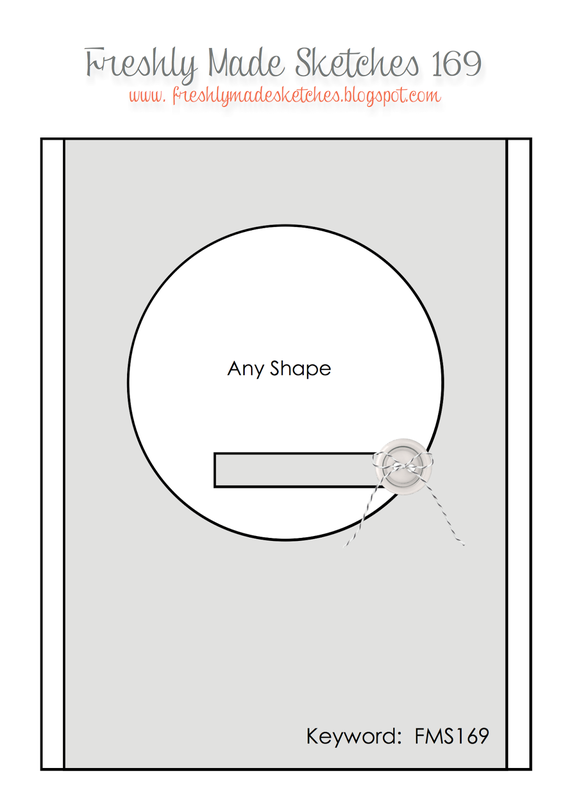 I die cut a lot of shapes, because I really didn't know which ones I would need. 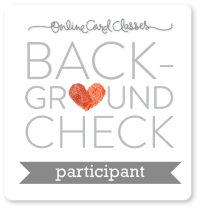 Debby's card had one heart and was on black cardstock. I wanted to try something a little different and used two hearts on red cardstock. I like the way it turned out, it does take some time, but if you are patient you are rewarded with a unique card. 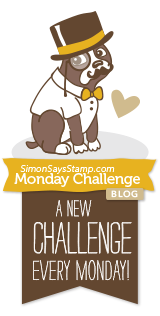 This week Paper Smooches has a Designer Drafts challenge. I used the egg stamp to make scallops. This is all from Paper Smooches Wake Up stamp set. I colored the images with Copics and used some patterned paper for the trim. 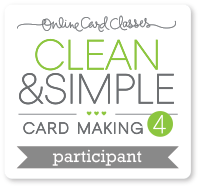 Today is the first class for the new Online Card Class Clean & Simple 4. 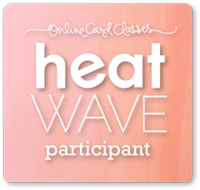 The lesson today focused on heat embossing. I really liked the technique that Julie Ebersole demonstrated, but I didn't have the materials to make it. :( I will have to look into that. I did a technique demonstrated by Jennifer McGuire. I used a background stamp and heat embossed the card stock with blue embossing powder (not sure of brand). Jennifer used a lot of colored embossing powders on her card, I don't have a lot of colors but I wanted to try the technique. I used a word die and cut it out twice from heavy card stock and glued them together and then heat embossed it along with two strips of paper. 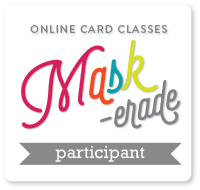 I assembled the card by using a piece of fun foam cut to the size of the card front and then attached it to the card base. It is hard to see the glossiness of the embossing but it looks really good. Supplies used-Hero Arts Lattice-background stamp, Paper Smooches Thanks-die cut, Ranger Platinum-embossing powder. 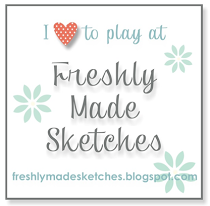 This week Freshly Made Sketches #170 features this sketch. 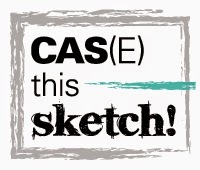 Great sketch, huh? :) This is the card I made. Supplies Used: Simon Says Stamp Tilted Banners and Small Doily Heart, Technique Tuesday Smooch stamp. 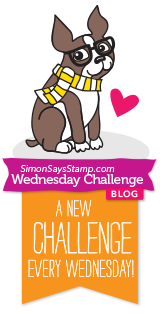 Since this is a Valentine I am going to enter it into Simon Says Stamp Wednesday Challenge. 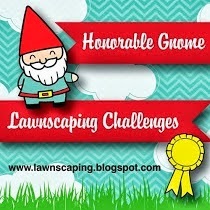 Second post today but I wanted to post a card I created for the Lawnscaping Challenge #98 Create a Background. I love stamped backgrounds and always forget to make them. 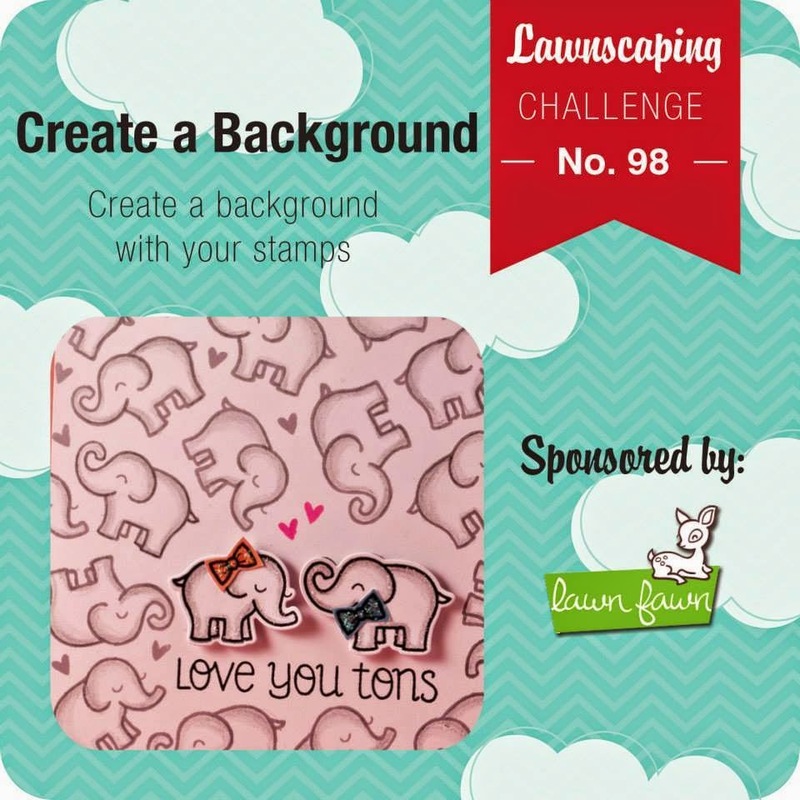 :) I used Lawn Fawns' Friendship Grows stamp set for this card. I colored the flower and vase with Copics, die cut them and attached all to a strip of vellum, so the background would show through. 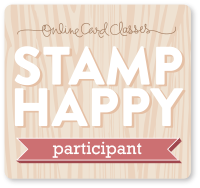 I am going to try and stamp more backgrounds in the future, it is a great option available instead of patterned paper. Thanks for coming by. 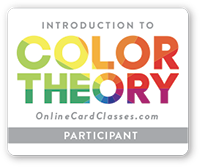 I will be taking an Online Card Class next week and I can't wait, and I will post the cards I create while attending the class. See ya soon!! 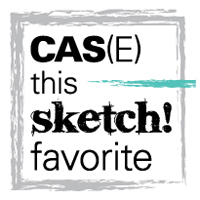 I decided to do a card for the CAS(E) this Sketch #107 this week, I really like the sketch! I loved this sketch and this is the card I made. 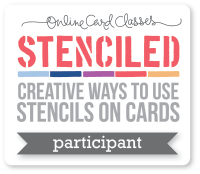 I tinted embossing paste with distress ink and used a stencil for the background. I die cut a balloon from patterned paper and added some twine to the bottom. I used matte medium on the twine to attach it to the cardstock and added foam squares to the back of the balloon. The sentiment is white embossed on black cardstock, I notched the side and attached with foam squares. It has been a busy week, I finally found some time to make a card. 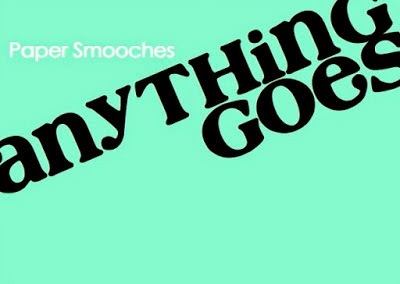 Paper Smooches SPARKS Challenge this week is Anything Goes. I used Paper Smooches Blossoming Buds stamp set, stamping with Versamark ink and embossing with black embossing powder. I watercolored the flowers with distress markers. I applied the distress marker ink to a clear block, swirled a watercolor brush into the ink and applied it to the image. The embossing keeps the ink from running (resisting technique) into the other color you apply. I used a heat gun to dry the ink before I applied an accent color. I embossed a sentiment from the PS Sentiment Sampler, and brushed some color over the sentiment. I like the soft colors from watercoloring the image. I did apply clear Wink of Stella to the flowers also. I got this stamp a few months ago from Art Impressions and I loved it so, the fish is so cute! I was in the middle of the holidays and never got a chance to use it. Well now I am in need of a whole bunch of birthday cards, because I gave a lot of cards away as Christmas gifts and my supply is pretty depleted. I needed a card for a man so I decided on this image and then I could also enter the challenge. I colored the image with copics, offset the frame, and added the sentiment to the side on foam squares. I wanted the sentiment to stand out a bit, so I added enamel dots. 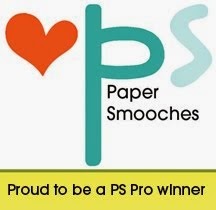 Paper Smooches Picture Perfect is this week's challenge. This picture just made me feel cozy. :) I love the warm colors in the photo and all the wintery elements. I decided to make this card. 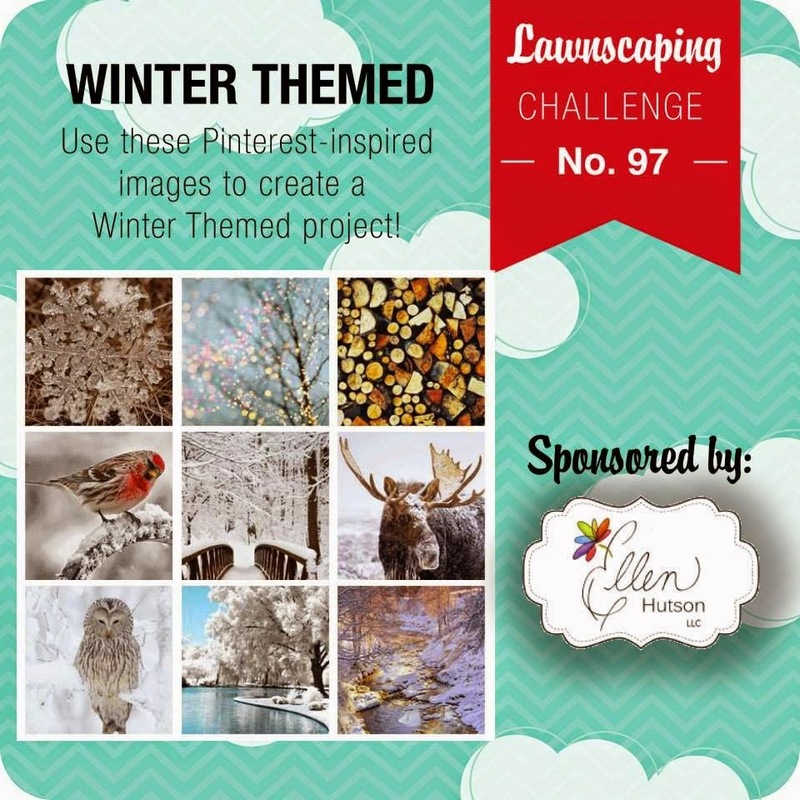 Lawnscaping Challenge #97 is Winter Themed Mood Board . Sooo love winter themed cards and the weather here has been pretty winter-y! Really cold temps and lots of snow, which is a big contrast from last week!! 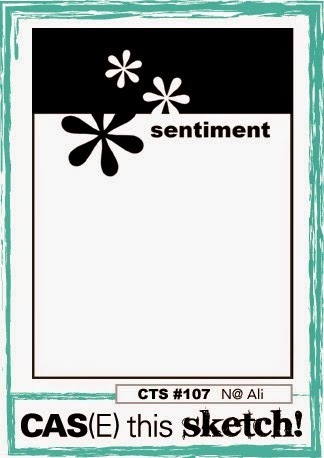 I love shaker cards but have never liked the bulk that comes along with them. This card has none of that! 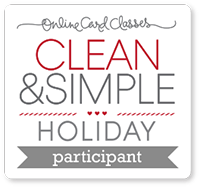 If you want to see a demonstration, click here Jennifer McGuire No Bulk Shaker Card video. This is the process. Cut two pieces of acetate a little larger than the shaker window. Adhere one to the card in the back of the window, put in your beads or sequins, they have to be smaller and not too thick. Adhere the second piece of acetate you have cut to the first piece to enclose the sequins/beads, and there it is NO bulk!! Your adhesive has to be pretty strong so nothing falls out, but the video explains it really well. The beads/sequins don't move as much but I actually like that better. 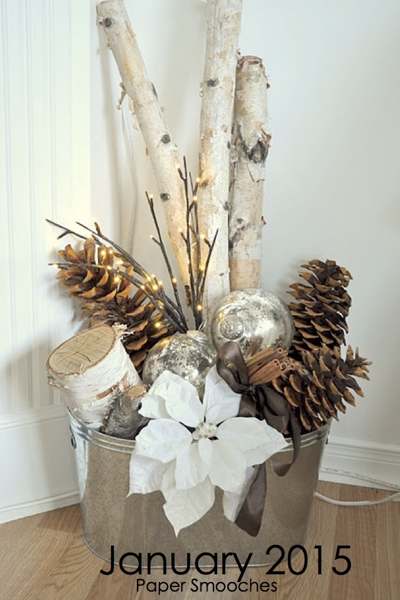 :) I used Lawn Fawn Peace Joy Love, Milo's ABC's and Winter in the Park for all the images. The snow on the card base is embossed with texture paste using the Falling Snow stencil from Simon Says Stamp. I stamped, colored and cut out the images and adhered them directly on the front of the acetate window and used white enamel accents to create the 'snow' on the window. I did add a piece of Lawn Fawn paper to the back of the window inside and framed it in so it would look good when the card was opened. 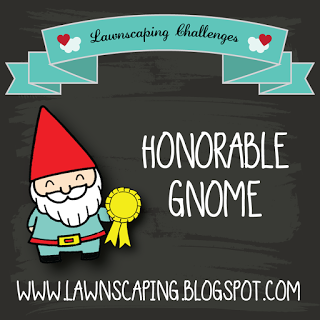 Ha this is kind of a long post for me, but I was a little excited, could you tell? Thanks for coming by and I'll see you next time. 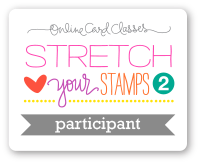 This is a new technique so I am also going to enter into the Simon Says Stamp Wednesday Challenge-Something New. I used Paper Smooches Little Fella stamp set, along with Hullabaloo, and Sentiment Sampler. I stamped the frog, and made a mask for him, then I stamped the other two images alongside. I love the one (alien?) on the left, he is soooo cute. I am sure he probably has a name or something. :) I colored them all with copics and added some gems to the frog's crown, I think he looks pretty spiffy on his skateboard. I added clear Wink of Stella to the balloons, you really can't see it well, though. 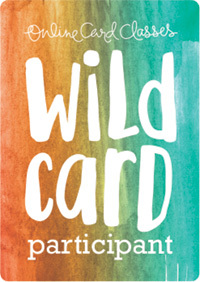 ALSO want to mention that I won the Designer Drafts challenge from Paper Smooches SPARKS last week, with this card: Blogpost for winning card. WOOHOO!!! !